QMobile Has recently announced a price cut for two of its mediocre models. 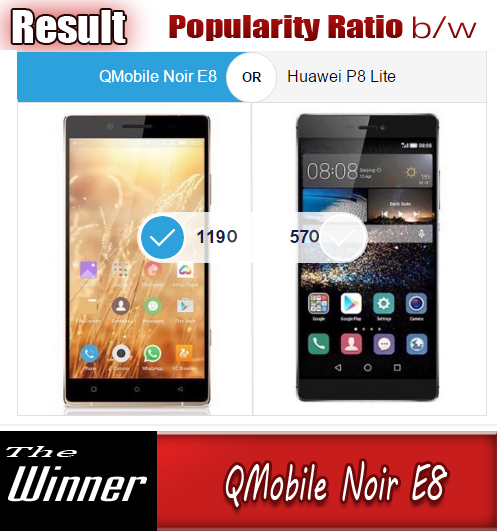 The first model that got a price cut is QMobile Noir M95 with offers you a huge 4000mAh battery to enjoy an online experience for a long time. Second model that got a price cut in Noir family is Famous Selfie phone QMobile Noir S1 with 5.0 MP rare camera and selfie camera. QMobile Noir S3 is the fourth model in Noir S-series. With the advent of this model the old model QMobile Noir S1 got a price cut and its new price is now only 9,500 PKR with a price cut worth of Rs: 700. Whereas the price fo Noir M95 is now only 9,750 PKR with a price cut worth of 750 PKR. There are four Huawei Models which have also undergone a price cut. 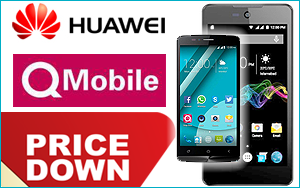 These models are Huawei Y3, Huawei Y5, Huawei Y6 and Huawei G8. Old prices and new prices of all of the above mentioned models are given below in this table.